CGA Project featured in LUXE! If you haven't already, go out and pick up the newest issue of LUXE Interiors + Design Magazine! 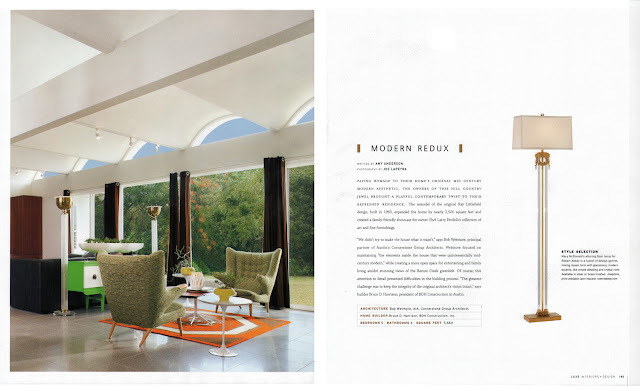 The 'Modern Redux' article (page 184) is a feature on our Knollwood Remodel project. LUXE did a fantastic job on the editorial and the photos, done by Joe Lapeyra, really capture the chic, mid-century modern feel of the home. Check it out at your local Barnes and Noble, Borders or Whole Foods news stand! 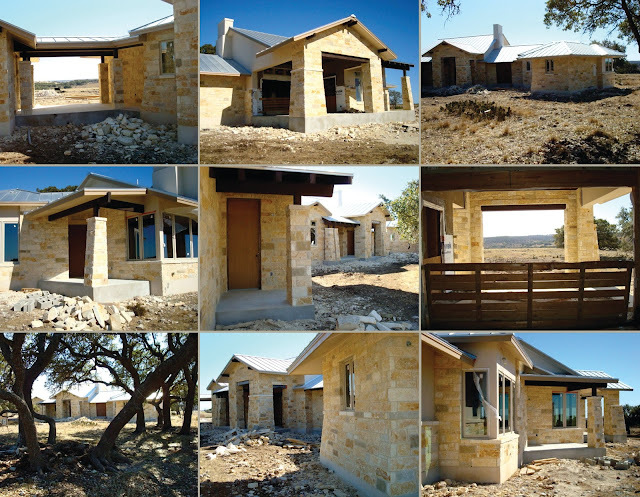 This beautiful Hill Country home was designed to maximize the gorgeous views its site provides. Perched on a hilltop overlooking the Blanco River Valley, the home's design allows for each room to have its own amazing view as well as extensive outdoor living areas. The interior design is by Shelley Grabowski Designs. Built by Bo Williams, of Williams Homes, the project is constructed with sustainable materials, spray foam insulation, and a reflective roof with large overhangs to provide necessary shading during the hot Texas summers! Check out the following article published last Saturday in the Austin American Statesman! 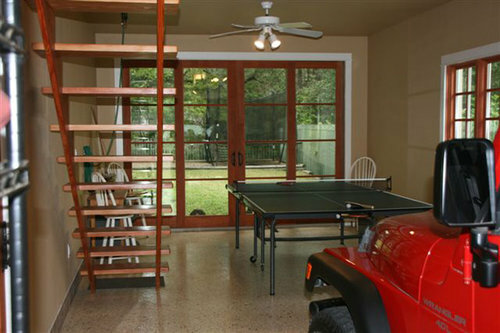 The basics: This 14-foot-by-36-foot garage is just west of Austin. Mission: The space, which includes an attic, is used for storing cars and seasonal items, working out, entertainment and projects and as a greenhouse for part of the year. The project: As an architect, Mark Carlson oversaw construction and hired all the subcontractors for the two-month project. To address the need to access the attic weekly but work with the long, slender space, Carlson designed a fully raiseable fixed staircase. The garage also has French patio doors at the back. The walls are made of greenboard drywall with a 12-inch tile base on a multicolored epoxy floor, making the space easy to hose down. What's inside: Two ceiling fans, a storage shelf, outdoor plants during the winter, a pingpong table during the summer. Vehicles: A 2003 Jaguar S-Type R and a 1998 Jeep Wranger. Reactions: Neighbors often comment that the garage does not look like an addition. It was, in fact, intended to blend into the original design of the home. Future plans: The garage will be the site of a high school graduation party for Carlson's daughter and friends, offering flow to the backyard, outdoor kitchen and pool. Click here to see the full gallery of photos! Every year around the holidays, CGA has a design competition within the office to benefit a local charity. This year we worked in teams of two to create gingerbread 'baskets'. Each team was given a box and foam core board to create a gingerbread house with an open top, so that it could be filled with goodies and wrapped like a gift basket. We filled the gingerbread baskets with family-fun gifts and necessities (movies, popcorn, games, baby items etc.) and donated them to foster families at FamilyLink, a non-profit licensed foster care and adoption agency that works directly with Child Protective Services to find homes for children who have been abused, neglected or exploited. We had so much fun with this project, and each gingerbread basket turned out wonderfully unique and fun!